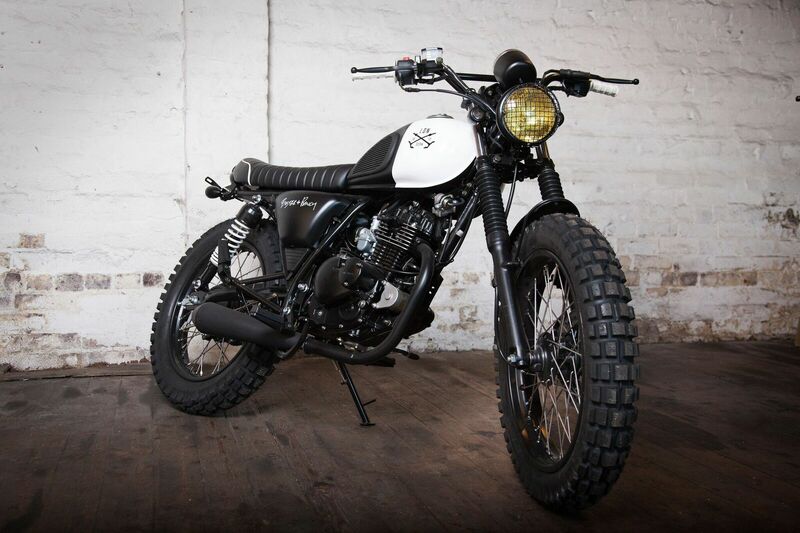 A 125cc mutt motorcycle. 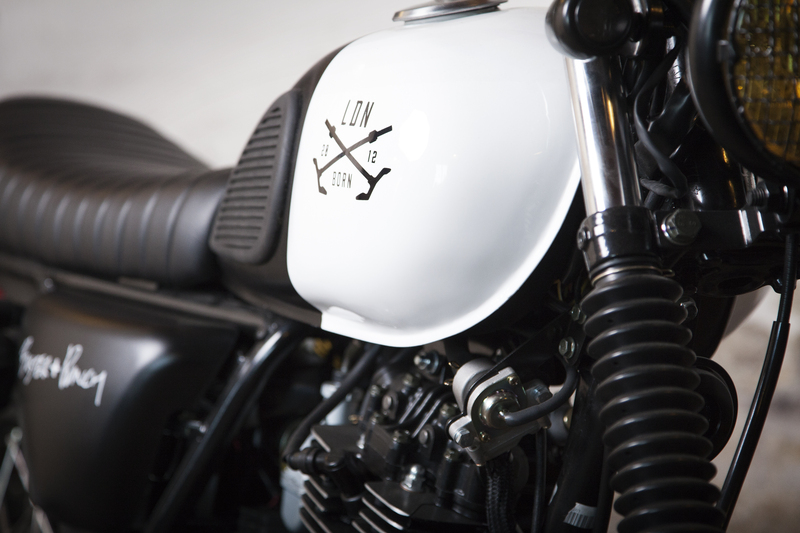 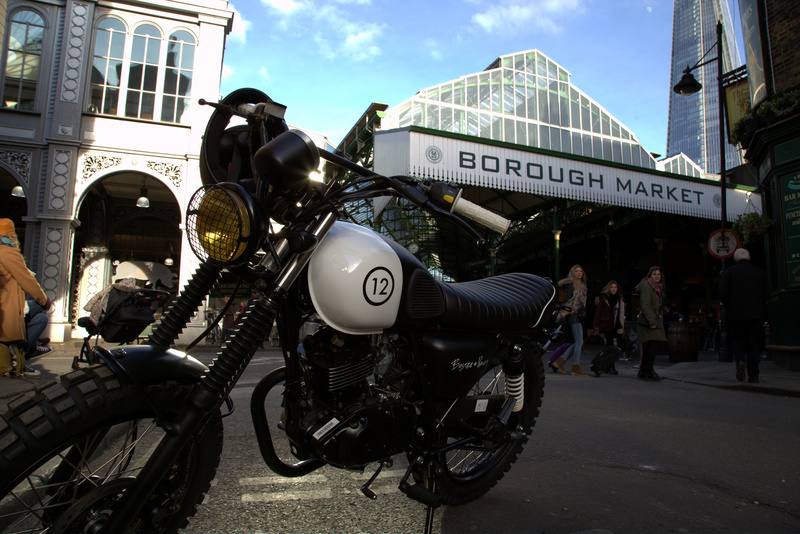 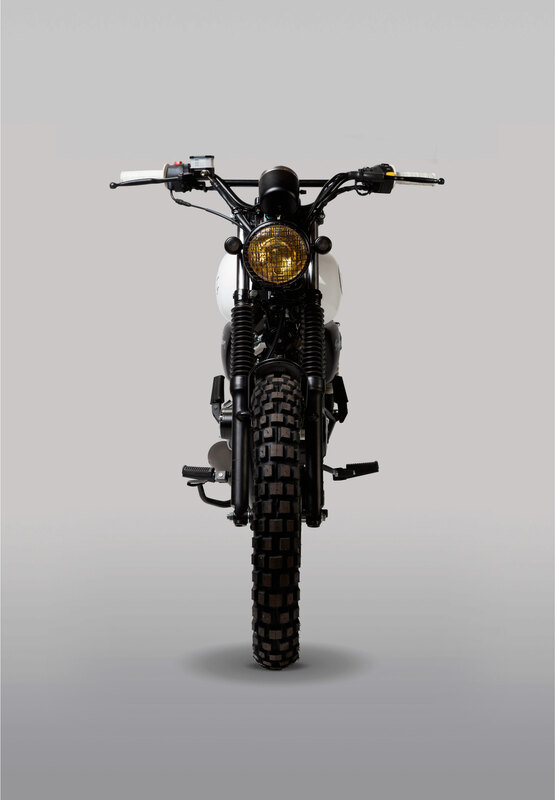 Born in London and built in collaboration with Mutt Motorcycles. 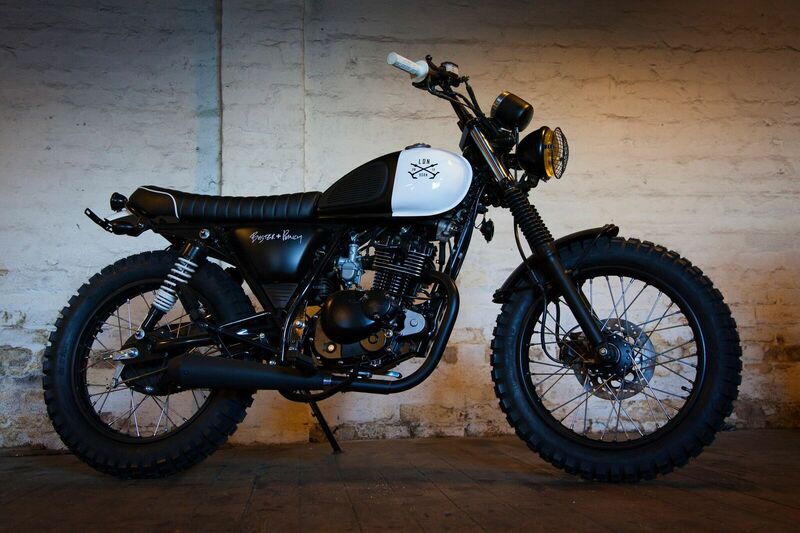 Custom finished with Buster + Punch paintwork and solid metal detailing. 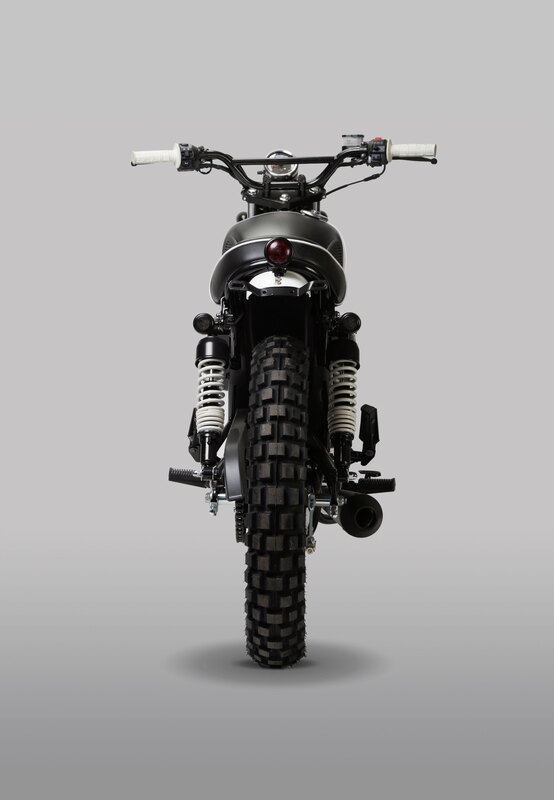 Available in a limited edition run of 50, with each bike having a unique racing number on the tank.